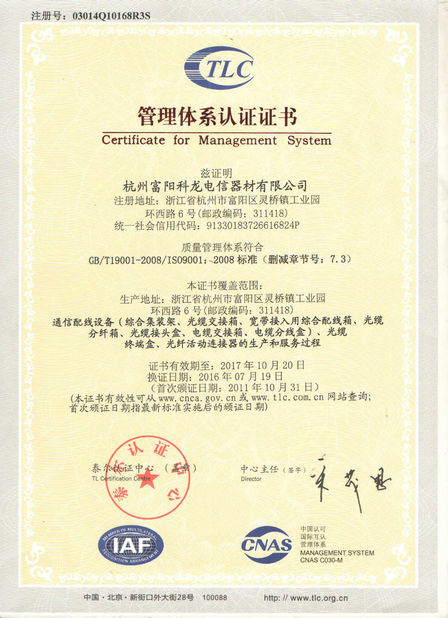 The equipment is used as a termination point for the feeder cable to connect with drop cable in FTTx communication network system. 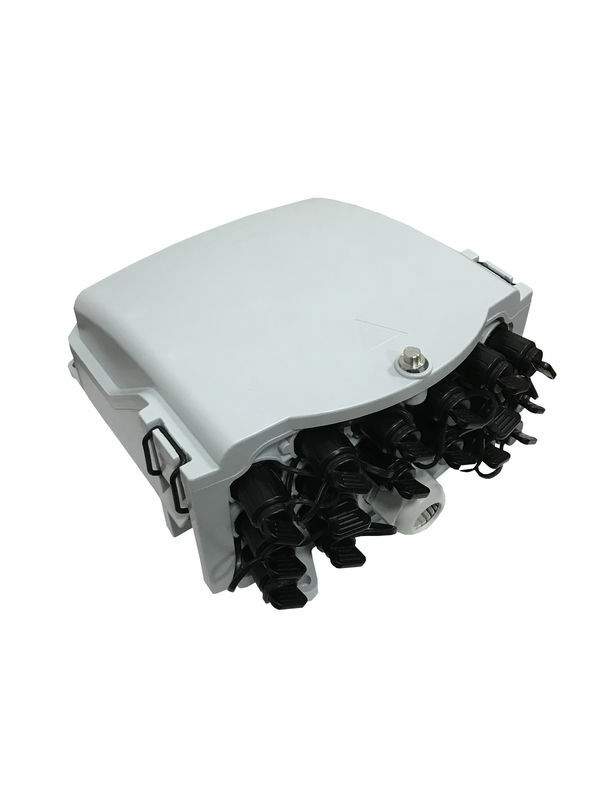 The fiber splicing, splitting, and distribution can be done in this box, and meanwhile it provides solid protection and management for the FTTx network building. 2. 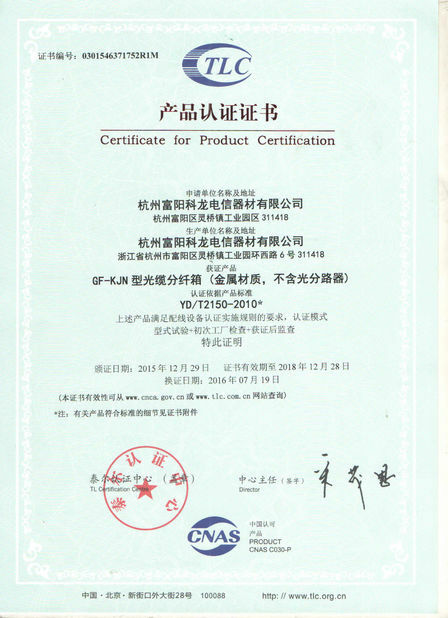 Material: PC+ABS, wet-proof, water-proof, dust-proof, anti-aging, protection level up to IP65. 3. 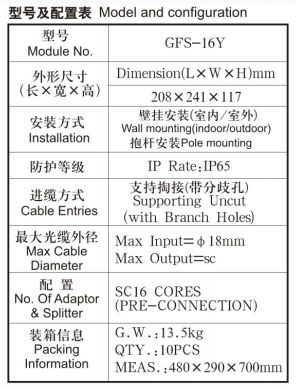 Clamping for feeder cable and drop cable, fiber splicing, fixation, storage, distribution...etc all in one. 4. Cable, pigtails, and patch cords are running through their own paths without disturbing each other, micro type PLC splitter installation, easy maintenance. 5. Distributionpanel can be flipped up, feeder cable can be placed by expression port, easy for maintenance and installation. 6. Box can be installed by the way of wall-mounted or poled-mounted, suitable for both indoor and outdoor use. The insulation resistance between the grounding device and the metal parts of the box is no less than 2 MΩ/500V (DC); IR≥2 MΩ/500V.